A beautifully maintained Symbol 66. Do not be fooled by the 2001 build, this is an exceptionally engineered and built motoryacht. Everything on this yacht appears oversized and lots of redundancy built in. Extensive work was done on her by the current owner before shipping to the EU from the USA. Voltage regulators and frequency converters were installed, a new hard top and a complete review of all her systems and a thorough maintenance regime was undertaken. This is an exceptionally strong yacht and can take you where ever you wish in comfort and complete safety. 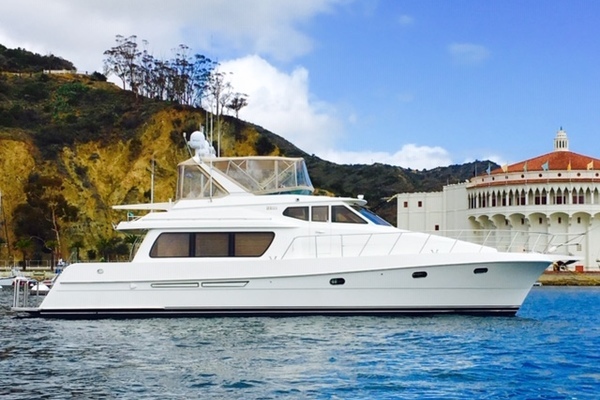 United Yacht Sales New Jersey would love to guide you through a personal showing of this 68' Symbol 66 Pilothouse Yacht 2001. This yacht for sale is located in Unknown Turkey and priced at $454,307. For a showing please contact us by filling out the form on this page and we will get back to you shortly!